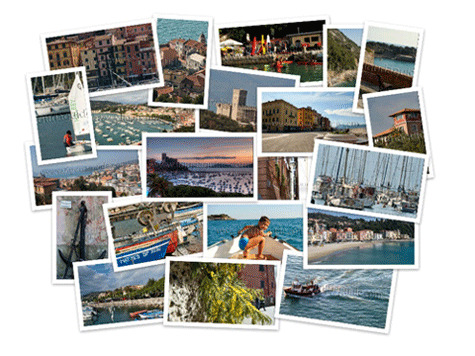 The world of Liguria is relaxing and authentic; a world where you can combine historical sightseeing with the relaxation and fun of a seaside holiday: secluded pebble or sandy beaches perfect for sun-bathing. At the same time sport lovers will not be disappointed as we will show you the best spots to practice from fishing to diving in one of the most beautiful places in the Mediterranean, to surfing and sailing. And for those who prefer to keep their feet on dry land, the area offers perfect golf-courses as well as enchanting scenery and some of Europe’s finest coastal hiking paths for trips on foot, horse-back or mountain bike. The accommodation is as varied as the land itself. Choose from our hand picked selection of lovingly restored villas, tastefully converted farmhouses, pretty village apartments and charming B&Bs, all set amidst breathtaking scenery. We are native to this wonderful area and regularly visit each of the properties we represent to guarantee continuously high standards. Many of the property owners are in fact personal friends and we know that they will make you very welcome and will help to make your stay memorable. We will be more than happy to help you select the property that best suits your needs when planning your holiday and can also act as bilingual representatives on your behalf should you need us at any time during your stay. The travel resources section lends a helping hand as to different ways to get here as well as best ways to get around Italy. From best flights and cheapest air fares to most convenient ferry links, from trains in Cinque Terre to advice on car hire, it's all covered here. Last but not least, there is the real heart of the site: lots of invaluable pages that cover how to best enjoy the true Italian spirit of our favourite destinations in this region of Italy (the magic of the historical little towns and cities, tourist attractions and national parks) accompanied with useful interactive maps of the area. Our top spots for real estate! 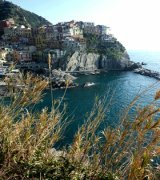 More to come on these and other "Liguria best" things to do, eat, and experience. So don't be a tourist. 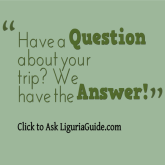 Be a traveller – see the real Liguria.